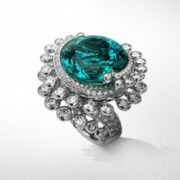 The family of tourmalines is very numerous and unites a number of minerals with similar characteristics and a diverse range of colors: from black, blue and red to green and colorless. 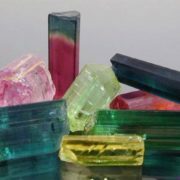 Some varieties of tourmaline are polychrome, i.e. 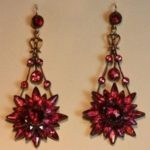 painted in several colors at once. 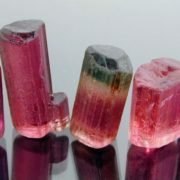 The most interesting and beautiful varieties of tourmaline are considered to be black tourmaline, indigolite, rubellite and verdelite (green tourmaline). 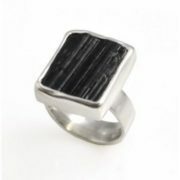 Black tourmaline contains sodium, iron and aluminum. 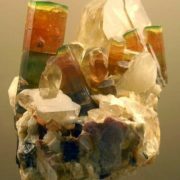 This mineral has a high hardness and is capable of changing color depending on the angle of incidence of light. 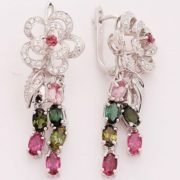 For a long time, it was used to make funeral jewelry. 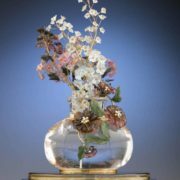 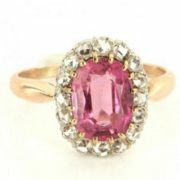 It gained special popularity in England in the Victorian epoch. 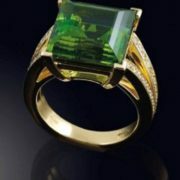 Indigolite is one of the most beautiful and rare tourmalines. 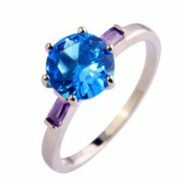 Its color is blue, dark blue, bluish and even greenish. 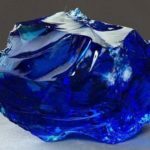 Sometimes an indigolite is called a “Brazilian sapphire”. 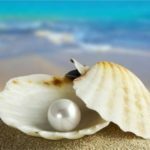 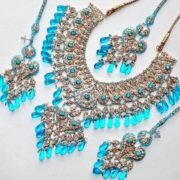 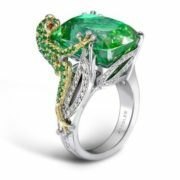 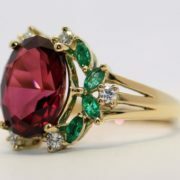 The gemstone is unique in its beauty, so it is widely used in the jewelry industry. 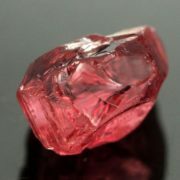 Rubellite is a red variety of tourmaline. 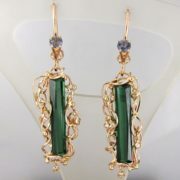 This gemstone was well known in ancient Rome. 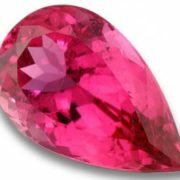 The color of rubellite varies from red to pinkish. 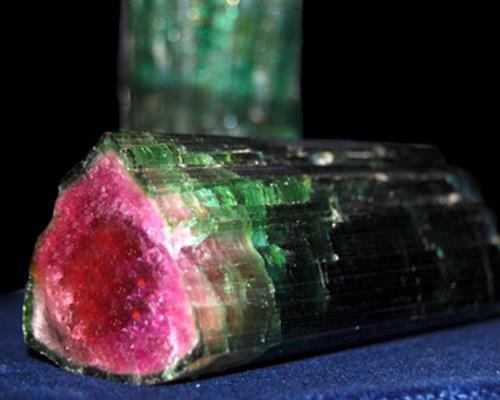 The word “tourmaline” comes from the Sinhala turamali, “a stone that attracts ash”, and indicates the pyroelectric properties of this mineral. 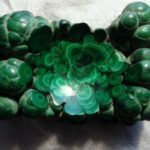 In the XVIII century, the Dutch, who exported this stone from Ceylon, used it to clean the pipes. 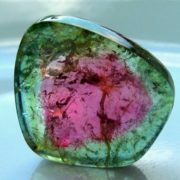 If you cut a tourmaline crystal perpendicular to its crystallographic axis, you can see an equilateral triangle of almost ideal shape. 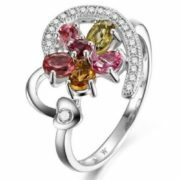 The equilateral triangle symbolizes the perfect form, the triune unity of the cosmos and the divine energy in the Kabbalah. 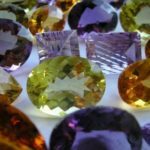 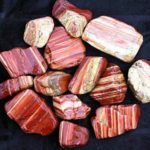 So, tourmaline in astrology and magic is used for direct connection with the energies of the Cosmos. 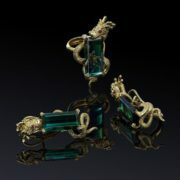 Black tourmalines were used for witchcraft. 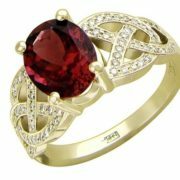 It is believed that this gemstone strengthens health, fuels passion, and also develops the ability to clairvoyance and attracts luck. 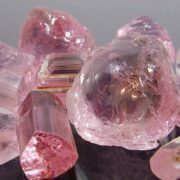 In folk medicine, there is an opinion that tourmaline has a positive effect on the endocrine system. 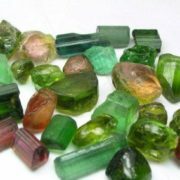 Tourmaline improves memory, relieves dizziness and purifies blood vessels, heals ulcers, wounds and burns. 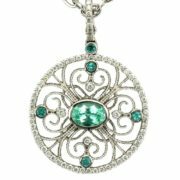 The panagia of John the Baptist, kept in the Kremlin’s Armory, is decorated with high-quality tourmalines. 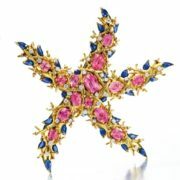 Tourmaline, sapphire and diamond Starfish Brooch bu jean Schlumberger, circa 1945. 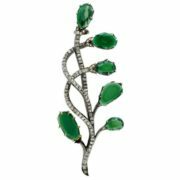 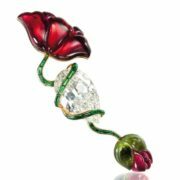 Tourmaline and Diamond set on white gold by Anu Chadha. 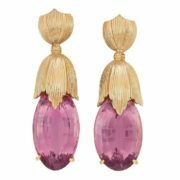 Pair of Gold and Pink Tourmaline Pendant Earclip. 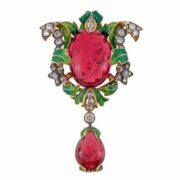 Magnificent Antique Tourmaline Diamond Enamel Pin-Pendant. 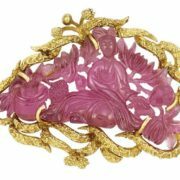 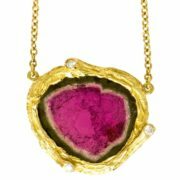 Gold and Carved Pink Tourmaline Pendant Brooch. 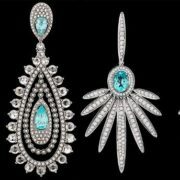 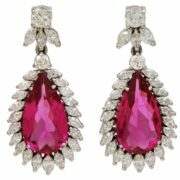 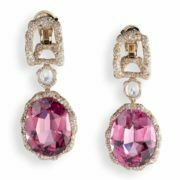 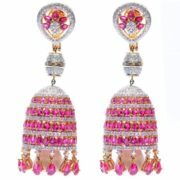 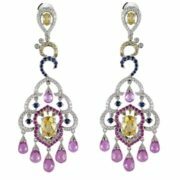 Drop Earrings, tourmaline and diamond by GARRARD & Co.
Diamonds, citrines, sapphires, tourmalines and peridots. 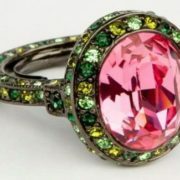 Dear Dior Dentelle Tourmaline Rebrodee ring. 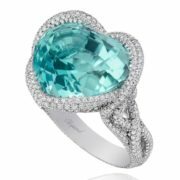 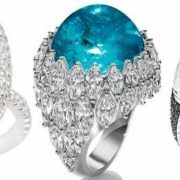 Chopard Paraiba Tourmaline Ring from the Red Carpet Collection 2013. 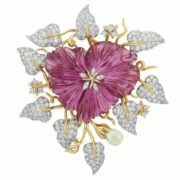 Carved Pink Tourmaline Flower Clip in Platinum and Gold with Beryl Briolette and Diamonds by Valentin Magro. 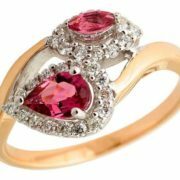 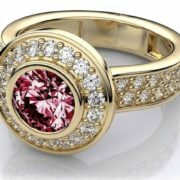 Bezel set modern halo pink tourmaline ring in 14k yellow gold 128 carat. 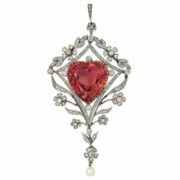 Belle Epoque Platinum, Gold, Pinkish Orange Tourmaline, Diamond and Pearl Pendant with Chain. 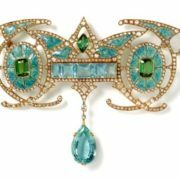 Aquamarine, tourmaline, diamond and gold brooch by Georges Fouquet circa 1901. 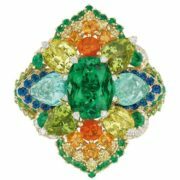 Antique Russian Silver, Gold, Tourmaline and Diamond Brooch.